Contrary to what is to be read elsewhere, the release date of "When Machine and Man Collide" is not certain yet. They just are targeting May as the month. From Century Media Records: the Death live album is scheduled for June 18th.We try to get an official statement about this as soon as possible. For everybody who is still wanting to send donations to Chuck, please check the support page for the Schuldiners bank account. Do not send any money to Nuclear Blast. As soon as there is a direct PO box available we will let you know, until then only the bank account can be used. The Death live album is not gonna be released by Hammerheart, as soon as we know what Century Media is gonna do with it we will let you know. Travis Smith will be doing the artwork for the new Control Denied album again. The album will be made available on DigiCD, double vinyl set and picture disc. No release date yet. It is with much pride that Hammerheart Records Worldwide welcomes its newest recording artist, CONTROL DENIED. The label debut (band's sophomore release) is now underway in Tampa's Morrisound Studios with producer Jim Morris at the board. Poignantly titled, When Machine and Man Collide, the album's subject matter touches upon the darker and more intrusive nature of today's technology, among other things. Chuck Schuldiner, the metal mastermind we have all come to consider one of the godfathers of heavy metal, naturally resides at the helm of CONTROL DENIED. Contrary to the ever-churning rumor mill, Steve DiGiorgio (bass) and Richard Christy (drums) are still full-time members of CONTROL DENIED. Their participation in other projects has not and will not take away from their involvement in the band. Smoothing out the returning line-up are Shannon Hamm (guitar) and Tim Aymar (vocals). When questioned about the sound and ideology of When Machine and Man Collide, Chuck had this to say: "This album will NOT contain any guest rappers, 7-string guitars, baggy pants or any other elements from so-called "New Metal". CONTROL DENIED is NOT a power metal band and it is NOT a side project. This album will crush those misconceptions completely! I believe more than ever that this album will embrace my musical past while once again taking a step forward into the future. This is something for all true metal fans"
From Nuclear Blast: Effective November 15, the offices of Nuclear Blast America in both New York City and Philadelphia will close. From www.bravewords.com : Nuclear Blast Closes In North America! "Sad but true, one of the top Metal labels in the world have made it official - they are CLOSING their offices both in New York City and Philadelphia on November 15. The status of the bands and staff of the label are still up in the air for North America." As soon as we know more about what this will mean for Death/Control Denied we'll let you know. From Steve DiGiorgio. Rumors about him joining Iced Earth are true. For his full statement about this check the news section of his site. A little quote from it: "This should in no way affect the on going steps of the recordings with projects I've been involved with for some time now. The new Control Denied songs are done being written, and in fact we will be doing the preproduction, and the actual recording in the next few weeks. Awesome stuff...Chuck is back, back with a vengeance indeed". Release date of the live album has been postponed to April 24 2001, still no track list. We have a confirmation of the French benefit festival. It's gonna take place in Lille (near Paris) on November 18 in "Le Splendid". Check out the benefit page for more info. Something to read. Especially for all drummers who are visiting this site, the promissed article: "Heavy Pounding Drummers". With Cozy Powell, Ian Paice, Gene Hoglan, Mike Browning and Rick Colaluca. Check out the TALKS (Slagwerkkrant 11/12-1991*). For those who haven't noticed yet, we got all lyrics on as well. You can find them through the album pages or through the sitemap. From Nuclear Blast: the release date of the Death live album will be February 6, 2001 as of now. There's no track listing yet, we'll keep you posted. From Nuclear Blast: the release of the live album has been postponed indefinitely. Possibly late this fall but no real street date yet. First of all, Chuck is doing very well at the moment! We've added some oldies again, an album review of Symbolic, and a gig review. Check out the VIEWS and the GIGS. Another thing, we want to give the German summer festivals some attention. A part of the benefits from the festival t-shirt that will be available at "Wacken Open Air", "Bang Your Head" and "With Full Force" will be for Chuck. So if you're gonna attend one of those festivals, buy that shirt! We've added the review of the Dutch Benefit, check out the GIGS, and especially for the drummers an article about extreme metal drumming, check out the TALKS. Check out the Spastic Ink site for the info about the to be released Ink Compatible album on which Richard and Steve will be playing. The closing date for the "TogetherAsOne" bank account in The Netherlands will be May 17, 2000. From this date it will no longer be possible to use this account, and further contributions can only be made through the American bank account of the Schuldiner's. After 4 months, we thought now would be a good time to round things off. We want to thank everyone that contributed to, or still will be contributing in the upcoming month to this account, for your confidence in us. On June 1, 2000, the "TogetherAsOne" bank account will be shut down permanently, and the total amount received will be transferred over to the Schuldiner's. 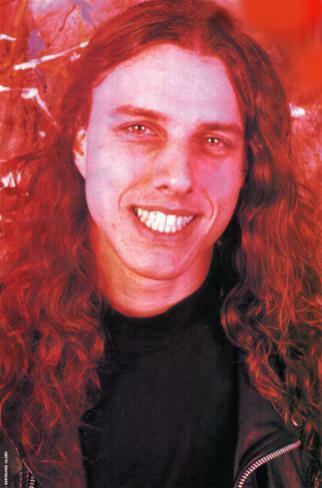 A written and signed certificate from the Rabobank/Netherlands, will be forwarded to the Schuldiner's, which will state that every penny received on this account has been transferred to the Chuck Schuldiner Medical Account in America. For obvious reasons of privacy, this site will not publish the amount of money collected on this account. For this, we ask your understanding. Again, we thank everybody very much for the faith you have shown in us. It really has been overwhelming, and we could never have done this alone!!! The tribute album won't happen for the moment. For details about this keep an eye on Gregory Godin's site. The release date of "Live at the Whiskey" has been postponed, right now it is scheduled for an August release, no exact street date yet. We'll keep you posted. Metallian Magazine in France is currently working on a project, a Tribute Album dedicated to Death, to raise money for the Chuck Medical Fund. The album will feature previous Death members (like Gene Hoglan/Chris Reifert/Andy La Rocque/James Murphy and Kelly Conlon), bands (like Nocturnus and Catastrophic) and some surprises as well. Jim Morris/Morrisound is gonna mix and master the recordings and Travis Smith will contribute with his artwork. They asked us to spread the word and to ask you to sign a petition to get this record released. You can email Iside Occella from Metallian Magazine, to tell him if you would be interested in buying such a CD and the reasons why. For detailed info check out Gregory Godin's site. A benefit being staged to raise money to help with Chuck Schuldiner's medical bills is set to go on Saturday, May 27th in Houston, TX. The venue is called Mary Jane's and the lineup is as follows: Putrilage, Lejion, Adumus, Eulogy. Come out and show your support for one of the most important minds in metal today! Added an impression of the benefit in The Netherlands, check the benefit page. The Dutch benefit. We want to thank Brian (you really made this happen), Robbie (for introducing us to Brian), Herman (for offering your place), Edwin (for making everybody happy backstage), the Steelworks guys (for recording this event), and of course every single guy and the one girl from the bands: Consolation, Blo.Torch, Dead Head, God Dethroned, Occult and Altar. And last but not least, everybody inside who came to support Chuck, an evening that we will never forget.....THANKS !!! From NBA..... Richard joining Iced Earth is official. As usual, the "rumor factory" has been hard at work. The most radical one had to be that I was dead. It should have not surprised me, but it somehow kind of did. I hate to disappoint those odd people with such an "overactive imagination" but I am alive and letting the metal flow! I just finished writing the last song for the new Control Denied album, which is still untitled. Yes, it will crush, 100% trend free. The responses to "The Fragile Art of Existence" has been really awesome, thank you for embracing it! I also want to thank everyone around the world for the incredible support you have shown me. I read the emails and the letters and appreciate your kind words and honesty. I am sorry for the delay on seeing a new press release, but I wanted to wait for the right time and circumstances. I'm settling down here in Florida, feeling good and looking forward to getting busy again with the new record and tour and to thank all my metal brothers and sisters in person with some new metal. I will make sure to keep you informed in the near future through the Nuclear Blast website and other legitimate avenues of information. Remember to always "support music, not rumors" and, of course, Let The Metal Flow! Added an interview with the one who initially wanted to form a Death Tribute Band for the Dutch benefit....... check out the TALKS. So how has the search for a drummer for Iced Earth been going? We got one!!! Just as of Sunday (Feb.27th). I haven't even told anybody yet, you're the first to know. I didn't even tell my webmaster yet, I was going to send him an email tonight. His (the new drummer) name is Richard Christy. He plays with Death and Control Denied. He's gonna stay in those bands too and we're gonna work with his schedule. He's gonna be playing drums for Demons & Wizards live and he'll be doing the next Iced Earth record and our tours as well. He's got a busy schedule but we're going to try and work it out. It may come to a point where he has to make a decision some day. If the band grows and we get to the point where I want to get then obviously he'd have to make a decision but at this point I think he can work both bands. So yeah, he's killer. I knew it in five minutes as soon as he started playing. The full band jammed with him or just you? Yeah just me and Matt was here as well. That's the most important thing, that we lock up, with my picking patterns and stuff. It's really kind of the trademark of the band but it's also what makes it tight and I have to be the one to lock with the drummer first. Since we haven't played together it would of been distracting to have the fact that me and Jimmy and Larry haven't played together in the last four or five months that we would of been kinda sloppy and off from each other and that always takes a few hours of rehearsal to get back in the groove. I just wanted me and Richard and if we lock up it's all good. He was amazing. He came in and in just five minutes I knew it. I had given him some pretty difficult stuff to learn. Added more news about the benefit concerts, check out the Benefit page. Rumors about Richard Christy joining Iced Earth are still to be confirmed, we will get back to this a.s.a.p. We added info about Altar ~ God Dethroned ~ Blo.Torch ~ Occult, check the benefit page. Benefit concert date has been changed into March 24. Added an interview with Steve DiGiorgio.... check out the TALKS. March 10 in Hardenberg / Het Podium. Rumors have reached us today that there will be organized a benefit concert for Chuck in The Netherlands. After facing grim prospects late last week, the story of death metal pioneer Chuck Schuldiner has taken a decidedly more positive turn this week.On Wednesday, the 32-year-old Schuldiner (who is credited with helping to forge death metal and grindcore with his band Death) underwent successful surgery on the brain tumor he was diagnosed with last year. Sources close to the family report that Schuldiner pulled through what was scheduled to be an eight-hour surgery in a mere four hours, and that the musician was already speaking shortly after the operation (specifically requesting that a copy of Iron Maiden's biography be brought to his hospital room). Schuldiner got even better news when doctors discovered that the type of tumor they removed from the singer was not as rare as originally believed. The day after the operation, he was said to be "lucid and cognizant" and is expected to begin rehabilitation as early as Friday. The singer now faces weeks of physical therapy and chemotherapy, as well as the daunting notion of mounting medical bills. As we reported last week, Schuldiner faces the familiar plight of uninsured musicians everywhere, and with the cost of his surgery hovering between $70,000 and $100,000, his family initially feared that he might not be able to afford the lifesaving operation (see "Death Metal Godfather Struggles To Fund Lifesaving Surgery"). Though the diagnosis was disproved during Wednesday's surgery, the Death frontman was originally diagnosed with pontine giloma (a rare type of brain tumor usually found only in children) last year and was told that the experimental procedure needed to save his life could only be performed in New York. Schuldiner and his family found a team of five specialists willing to waive their fees for the procedure, but New York University Medical Center's Tisch Hospital (which hosted the operation) is still running a tab that will likely fall between $70,000 and $100,000. The hospital has been talking to Schuldiner's family in an effort to work out a payment plan, and after the singer's story surfaced last week at MTV.com, his family was flooded with thousands of e-mails from fans and friends all over the world offering their support. For Immediate Release January 19, 2000 CONTROL DENIED FRONTMAN OUTPOWERS CANCER FAN SUPPORT CONTINUES TO MOUNT New York, New York: Control Denied guitarist Chuck Schuldiner has successfully undergone life-saving surgery performed today at NYU Medical Center. The experimental procedure, requiring five specialists, began at 7:30am and ended shortly before 4:30pm. The procedure to remove the Schuldiner's cancerous brain-stem tumor was nearly halted by the medical facilities administrative board as costs for the uninsured musician are expected to be near $100,000. A late hour agreement, however, was reached and the operation was allowed to proceed. The Schuldiner family has been overwhelmed with fan and media support since news of the musicians need for the surgery broke on January 14 in a report carried by MTV. Phone calls and email have been received from around the world; letters offering verbal and financial support. Trust funds have been set up in several countries to assistance the family's expenses. Schuldiner, regarded as the forefather of death metal, is reported to be in good health. As of press time, he is awake and fully alert. A statement from Schuldiner is expected in the 72 hours. Chuck Schuldiner, the man many credit with founding death metal and grindcore as the vocalist and guitarist for Death, faces an uncertain future as his family fears that the lifesaving medical procedure he so desperately needs will be hung up in financial wrangling. Schuldiner was diagnosed with pontine giloma, a rare type of brain tumor, last year, and he now stands roughly $70,000 short of affording the experimental surgery that could save his life. A spokesperson at the New York University Medical Center's Tisch Hospital told MTV News that the singer is scheduled to undergo the operation on Wednesday, and that the surgery will go on whether a payment plan has been hammered out or not. However, the Schuldiner family remains on edge as they try to find a way to cover the uninsured musician's mounting medical bills. The singer's sister, Beth Schuldiner, told MTV News that Chuck was first diagnosed with the condition (most often seen in children and rarely in adults) on his birthday last May, and that at the time, the family was told that the tumor was inoperable. Ms. Schuldiner estimates that the family spent some $90,000 on other treatments (including radiation therapy and alternative medicine) over the last year to little avail. However, Schuldiner and his family found their spirits lifted last week when they first learned of an experimental surgery that could treat his rare condition, and the family managed to assemble a medical team of five specialists in just one week. The procedure is a costly one, but the doctors involved have agreed to waive their fee for the operation. "Dr. Weiner [head of Schuldiner's team of surgeons] himself said, 'Don't worry about me, worry about the hospital," Ms. Schuldiner related. The doctor's words proved prophetic when the hospital that would host the procedure, the NYU Medical Center, told Schuldiner's family that the operation will still cost between $70,000 and $100,000. Dr. Weiner has told the family that Chuck's life is "in imminent danger," making Wednesday's surgery date of vital importance. However, Schuldiner and his family have yet to hammer out a financial deal with the NYU Medical Center, leaving Ms. Schuldiner worried that there actually won't be an operation. While Death has released seven albums since its formation in 1983, Schuldiner (like most musicians) was not granted medical insurance by any of the three record labels that the band recorded for. Ms. Schuldiner has put her real estate deals on the back burner in an effort help her brother, meeting with doctors and scraping money together for his treatment. "I told Chuck as a joke, 'You are a full time job,'" Ms. Schuldiner recalled. "Every single dime has been for him, but Chuck would do it for me 1,000 times over." Ms. Schuldiner claims that hospital initially insisted that it would not accept an initial payment less than $20,000 and was now willing to accept a $5,000 down payment. Schuldiner also claims that the hospital also asked her to sign away her brother's future royalties to help pay the balance. A hospital spokesperson confirmed that the medical center now required a $5,000 initial payment and said they were unaware of any mention of a deal involving royalties. As the drama unfolded, Schuldiner left New York on Friday to spend the weekend with his mother in Florida, and his sister remained concerned that the hospital would refuse to allow the operation to take place. However, the medical center told MTV News that the surgery will go on as scheduled regardless of the financial issues involved. "We're a hospital. That's what we're here to do, help people who need it," a spokesperson said. 613 E Citrus Street, Altamonte Springs, Florida, 32701. Schuldiner formed Death in his native Florida in 1983 and released the band's first album, "Scream Bloody Gore," on Combat Records in 1987. The group released a total of five albums on that label between '87 and '93 before jumping to Roadrunner Records for 1995's "Symbolic." The band's most recent effort, "Sound of Perseverance," was released on Nuclear Blast Records in 1998.